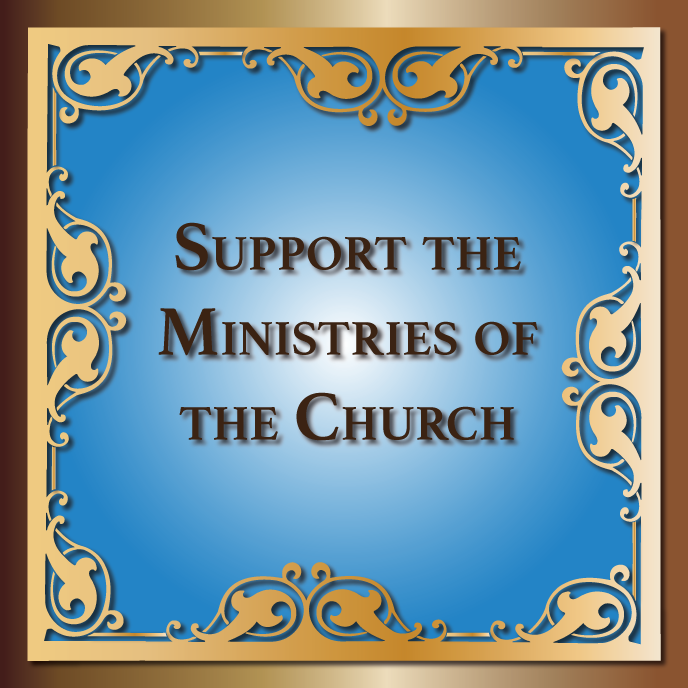 Ukrainian Orthodox Church of the USA - Theophany of our Lord in Chicago, IL! Theophany of our Lord in Chicago, IL! 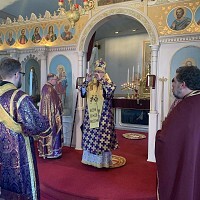 Nearly 200 faithful and visitors to St. Volodymyr Ukrainian Orthodox Cathedral in Chicago, IL gathered at their parish temple to celebrate the feast day of Theophany of our Lord! The services of the feast day were led by His Grace Bishop Daniel, a ruling hierarch of the Western Eparchy of the Ukrainian Orthodox Church of the USA, who returned to the cathedral for his first service, following recent illness and hospitalization. In addition, the bishop reflected upon his personal faith journey, letting people know about his own baptism in (Soviet) Ukraine, by a priest in a basement of his house. Then bishop connected his reflection to the very first baptism he conducted as a young priest - in one of the orphanages sponsored by the Church, calling upon the faithful to recall the meaning of their own baptism and Christian vocation. Following the Divine Liturgy, the bishop, assisted by Archimandrite Pankratij, pastor of the cathedral parish family, Very Rev. Fr. Andriy Shelvakh and Rev. Fr. Taras Maximtsiv blessed the water. The Great Blessing of Water is perhaps the most memorable part of the Theophany services. Water, as a symbol of purification and cleansing connected explicitly with the blessing of the Jordan River which occurred at the baptism of the Lord. On Theophany Eve, His Grace made his archpastoral visit to Sts Peter and Paul Ukrainian Orthodox parish in Palos Park, IL, where he served the Divine services of the day with Rev. Fr. Vasyl Sendeha, a pastor of the parish community , assisting the bishop. Scout Sunday to be Observed February 6, 2011! 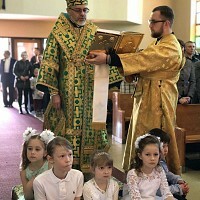 Sunday After Theophany and Observance of Ukraine’s National Unity Day Marked at Holy Transfiguration Ukrainian Orthodox Cathedral in London, U.K.